Hi loves! Ready for another new Essence color? This one is called Grey-t To Be Here, and as the name already implies it is a grey color. 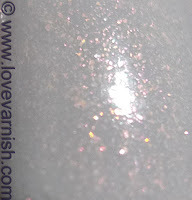 But it isn't just a grey color, it has gorgeous shimmery flecks! They flash pink, copper and orange and they light up the base so pretty. I needed 2 coats of this one which is an improvement considering the previous ones I showed you needed 3 coats. It applied quite easily too, no flooding or pooling. Do you own some of the new colors yet? And which one(s) is/are your favorite? Wow I love this colour, I'm a sucker for any grey to be honest! But this is so pretty. What a gorgeous colour!! Love, love it! This is one of my favorites of the new ones I got! Love it! 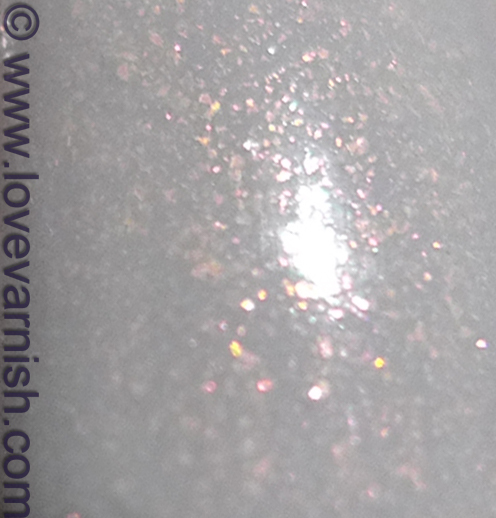 I'm not into light grey tones, but this one has a quid: pink-orange shimmer...how could I resist!? I'm in love with many Essence new shades, but unfortunately in my town they did not arrived yet. I hope to get them soon! Ok, looks like I'll be heading to Ulta! Thanks, it is a stunning and unique shade! Aww :( but luckily it is brand new and will be there for at least 6 months, so you don't have to rush! I hope it will be Katy, because you need this in your life! Yes mine too! Together with the green and the duochrome ♥. You can't resist. Just not possible ;)! Haha yes you should ♥.